In winter car windshields may become frozen. In this case you shouldn’t apply hot water on them as the cracks may appear as a result of temperature difference. It is also not advised to turn the windshield wipers on or tear them away in this state. 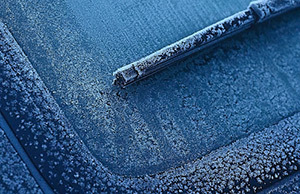 You can solve the problem of frozen windshield wipers and their joints by applying special defrosting products. These liquids contain alcohol which dissolves ice thus releasing the windshields and their hinge joints. In order to solve the problem, it is recommended to use our Verylube Ice-Breaker which eliminates frost and releases locks. It is possible to speed up the process of defrosting the windshield wipers by heating the passenger compartment.